This book is amazing. 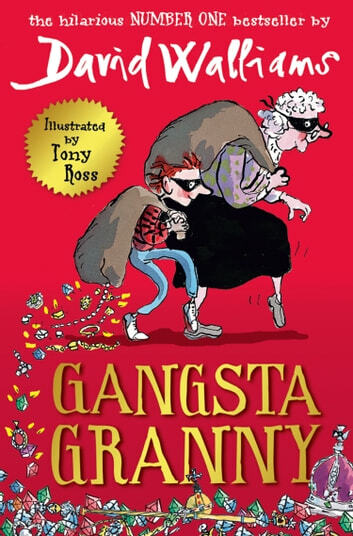 It brings you loads of adventuring times with a young boy and his granny. The book has an unpredictable ending that will bring a mix of joy and adrenaline as you journey with this book as if it has come to life. I HIGHLY encourage you to read this book! This is a wonderful book with a lot of interesting things. This is one of my favourite books by David Walliams its that good. I would rate this book a 5 star because its a wonderful book thats why the title is wonderful book. This book should be for 8+ just because there are some hard words but still i've got a 6 year old cousin that can read this so i gess its just your reading level. 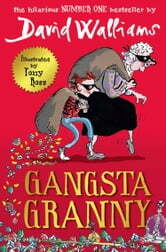 I love this book...trust me when you read this you will not think grannys are boring..or even the queen!! I would defiently reccomend this book for you. I would recommend this book to someone who likes David Walliam's books. There is a little boy and he hthinks that his Granny is boring but she isn't.